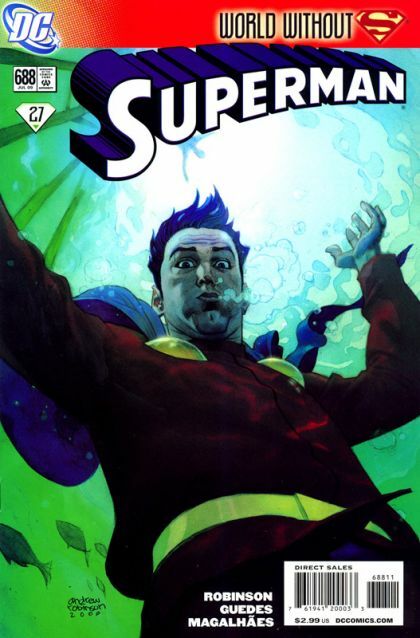 Written by James Robinson Art by Renato Guedes & Jose Wilson Magalhaes Cover by Andrew Robinson Mon-El's role as Superman's stand-in for Metropolis is threatened by a sudden and mysterious power loss. How can he be the hero he needs to be without any special abilities? Meanwhile, the Guardian and his Science Police go to the rescue of a missing member of the Legion of Super-Heroes. And who is the spy within the Science Police ranks?